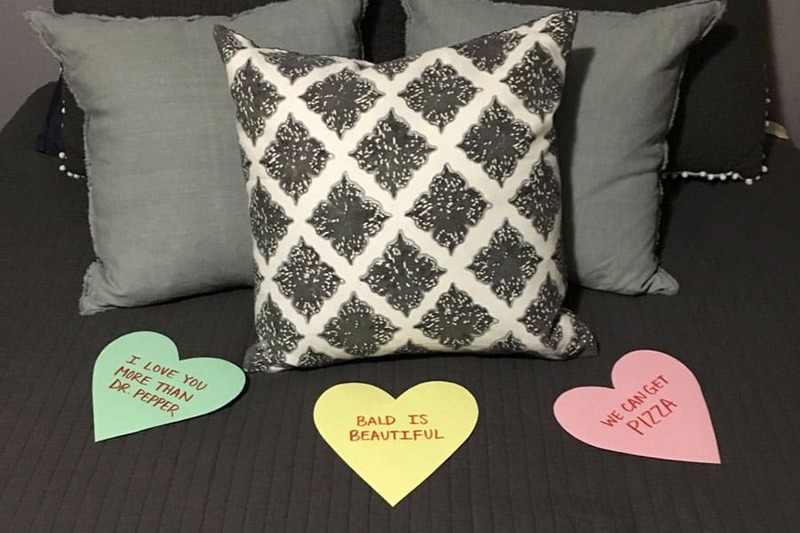 These sweet love notes are just in time for Valentine’s Day, but are easy (and inexpensive!) enough to make any day of the year! 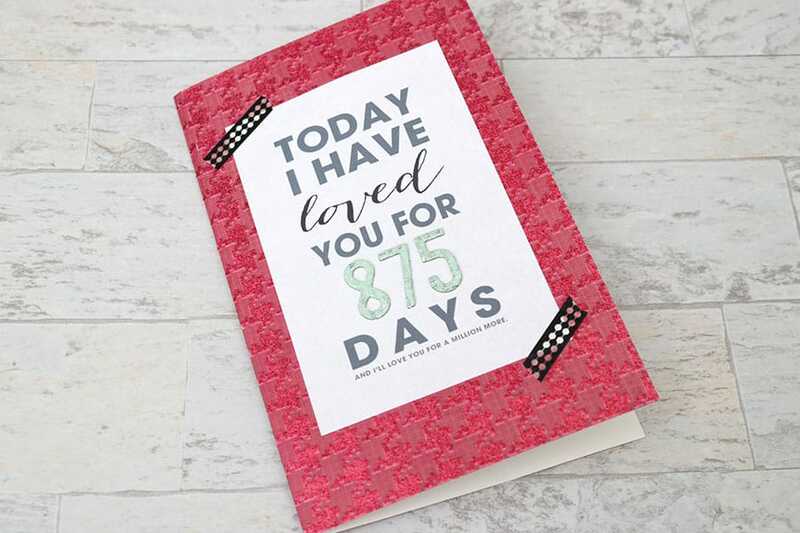 Surprise your spouse, boyfriend, or girlfriend with one of these cute love notes–it’s sure to make their day. 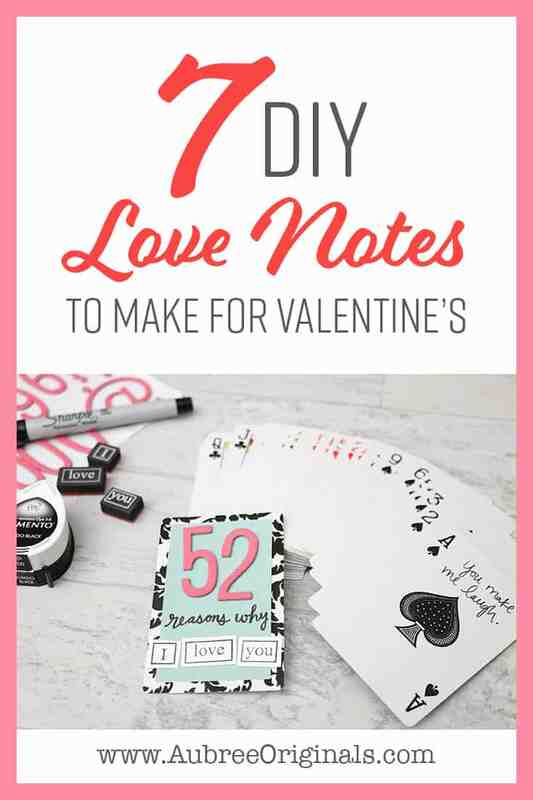 If you’re looking for a super inexpensive–yet thoughtful–gift for Valentine’s Day, your anniversary, or just when you want to show a little extra appreciation for your significant other, surprise them with one of these cute DIY love notes. They will love it! This is one of my favorite things I did for my husband when we were dating. I was super sneaky about it, too, so he was totally surprised. 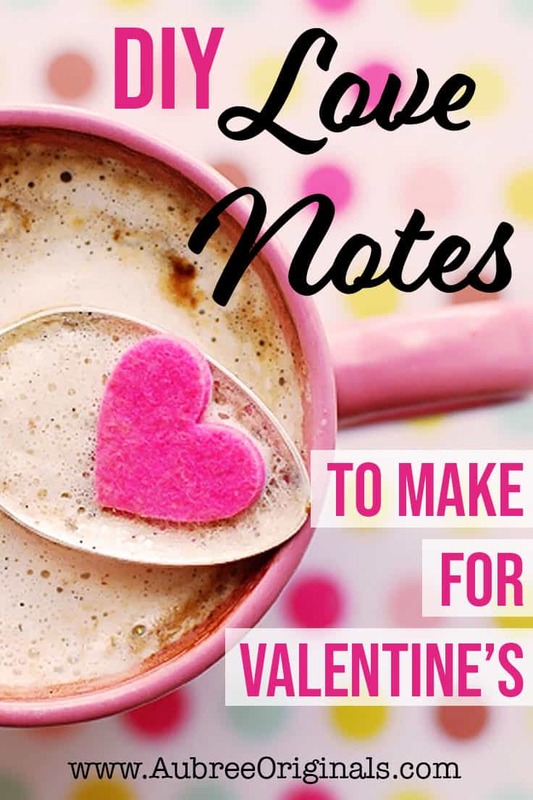 To save time (and keep your significant other from getting suspicious if they’re nearby), write your notes ahead of time and stack them in order of how you want them to go. 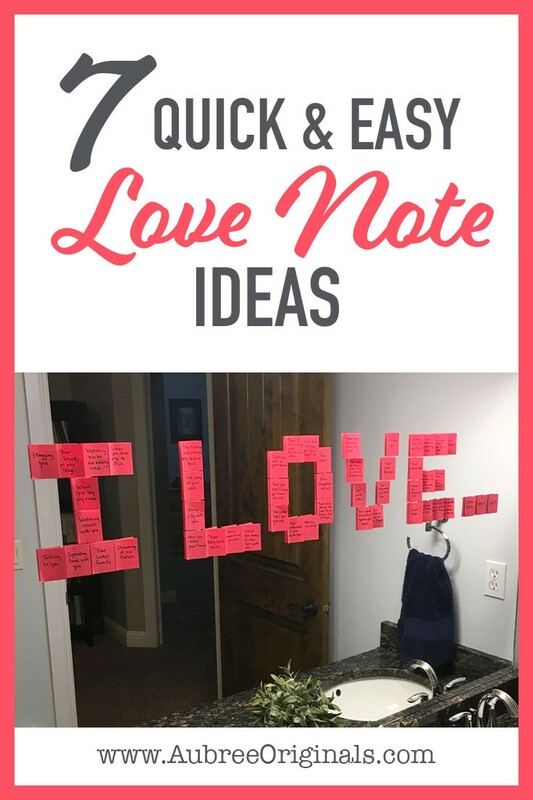 Get creative with different sticky note colors and sizes. You can arrange them to make a heart or spell out a phrase, like I did (which I then answered on each of the sticky notes!). 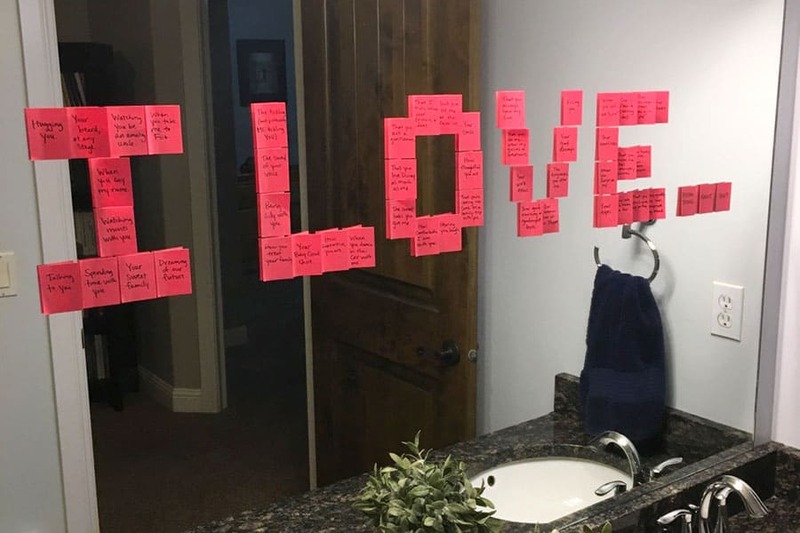 This is another love note I left at the same time as the sticky note mirror. Simply trace or freehand a heart onto a large piece of pastel-colored cardstock and cut out. Write a “conversation heart”-like message with red marker. And, bonus points if the message is specific to your relationship or a funny inside joke! I found this sweet printable over at Something Turquoise. Go print it out, trim it down to size, and make a simple card out of it for your significant other. Then head to The Calculator Site to figure out how many days you’ve loved them (or how long you’ve known them, dated them, etc.) and fill in the number with some fun 3-D stickers, like these. Need some card-making tips? Head to my post on How to Make Handmade Cards. 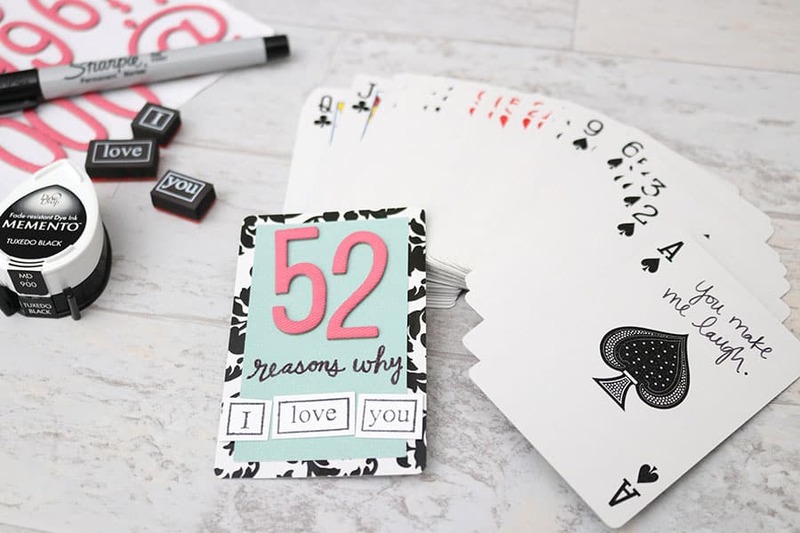 If you have an old deck of cards lying around, turn it into this fun keepsake for your loved one. (I’ve also found super cute decks of cards at the dollar store or in the dollar section of Michael’s.) Make a cute “cover” card (use one of the jokers if you can) with some scrapbook paper, stamps, or stickers. Then write your “whys” with a fine Sharpie on each card face. Optional: hole punch each card and attach together with binder rings or tie together with ribbon. Also, how cute would this be to make for your family’s go-to deck of cards with different attributes you love about each child?! This love note is super easy and your significant other gets the added bonus of eating it after! I recommend doing small words or phrases (or shortening words into “text lingo”). Unless you want to buy more candy, which is never a bad thing. 😉 Also, stick to wrapped candy! If you’re wondering, I love my super comfy down comforter and duvet cover! The duvet cover is easy to wash, but we also keep a blanket on top when the puppy is with us so it stays white (I learned my lesson after the first muddy paw prints…). 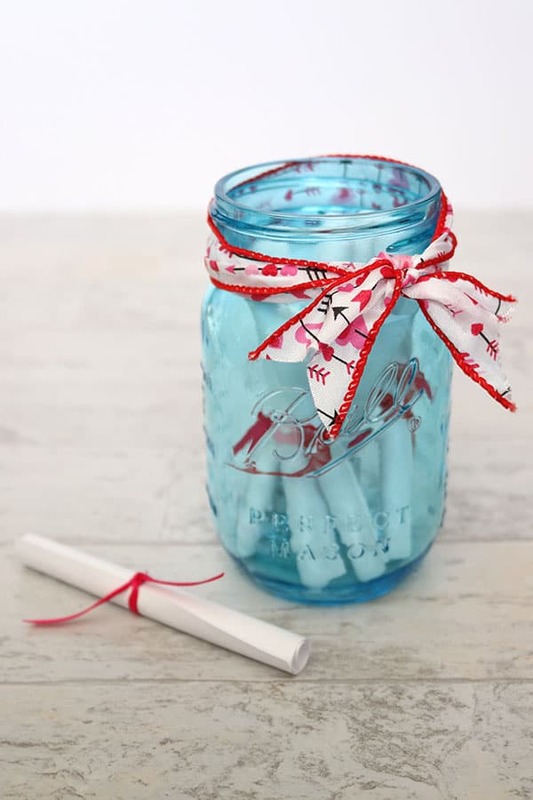 Write short love letters on small pieces of paper, roll them up and tie with string or ribbon, and store in a mason jar. 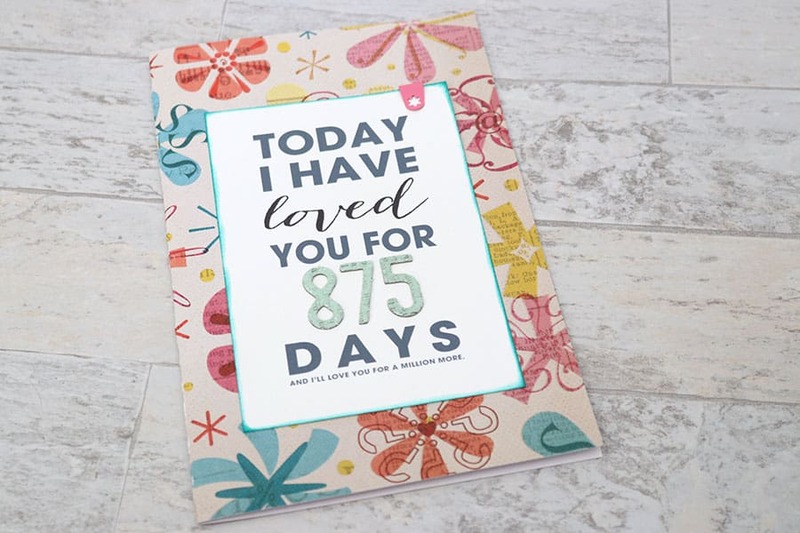 You could even make this 365 love letters to read over the next year, one per day. Or “Read when…” love letters (“read when you’re sad,” “read when you’re lonely,” etc.). And there you go! I hope you get a chance to make one of these for your spouse or boyfriend/girlfriend. They’ll love your thoughtfulness! 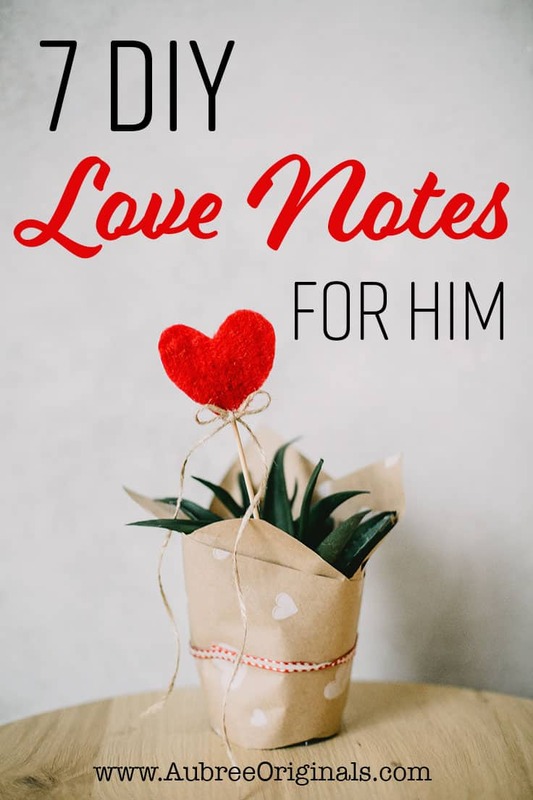 What are some love notes you’ve given in the past? Share your ideas by leaving a comment below! And don’t forget to pin to Pinterest and save for later!